If you’re like me you keep hearing the talk about harsh and irritating ingredients commonly found in our favourite beauty products that can lead to serious health concerns, but are hard-pressed to find good alternatives. 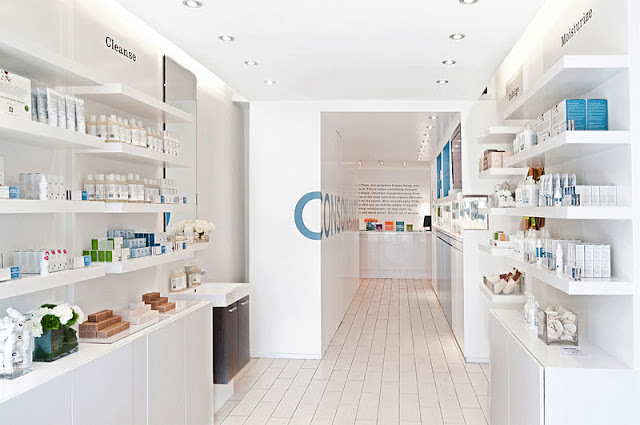 Enter Toronto’s newest beauty emporium, Consonant Skincare, and there’s no way you’ll be able to ignore the ingredients in your body lotion again. 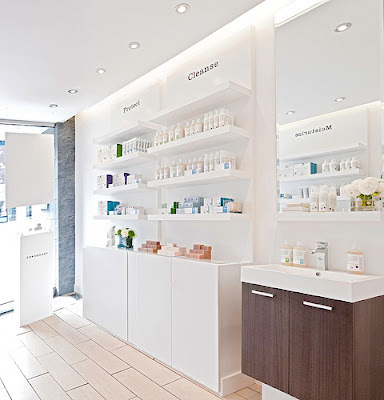 The Space: First glance into the three-year-old Canadian label’s flagship location at Yonge and Eglinton and you’ll be wondering if it’s a hip urban spa or a dermatology clinic. The space is clean, sleek and cheery, almost demanding you sit and stay for some skin TLC. On my visit I was lucky enough to be served by the man behind the brand himself, President Bill Baker, who shared with me Consonant’s birth story as he gave me a crash course in the benefits of organic skincare, and helped me choose a customized skincare regimen. Cleverly build into the product display is a large mirror and sink inviting customers to test drive products, as if they were in the comfort of their own bathroom, before making a commitment. Consonant is very focused on customer education, and in-store seminars are held monthly by holistic nutritionists and natural beauty product experts sharing advice with expectant mothers, and other customers young and old interested in healthy skincare. The Goods: Consonant favours ingredients created in nature over ingredients concocted in a lab, and products are formulated right here in Toronto with things such as Grape Seed Oil, Vitamin B3, Tamanu and Aloe Vera to heal, smooth and protect skin. As a new client I was encouraged to test out the brand’s most notable organic products, including their Foaming Face Wash ($18), Body Lotion ($22), Ultra Moisturizing Face Cream ($54) and Ultra Firming Eye Cream ($36). 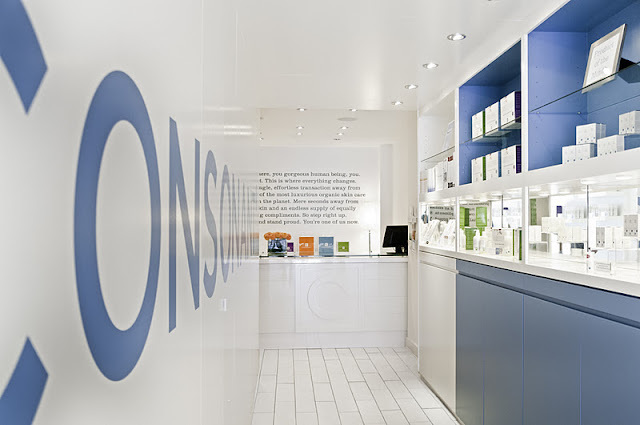 Consonant realizes their products may not be right for everyone, and they are happy to give customers a full refund if an item isn’t working out for their skin. The Result: After 30+ days of use, I’ve definitely found my favourites. The Clay Exfoliating Cleansing Bar ($18) is full of minerals that have kept my skin smooth and hydrated, and I’m no longer paranoid about “eating” my lip balm since replacing my old ones with the 100% natural and organic Moisturizing Lip Conditioner ($12). 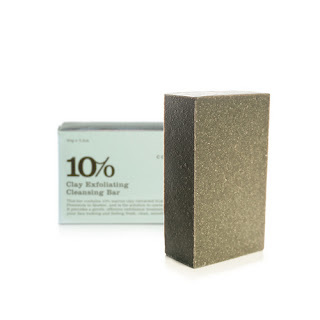 I have to say it took a while for me to get used to the smell of some of the products, probably because I wasn’t used to using moisturizers and washes containing natural plant-derived ingredients. Overall Consonant is a excellent option for anyone looking to introduce natural and organic products into their beauty routine without having to sacrifice quality and performance. 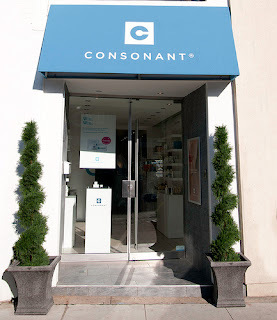 I have yet to go and check out the Consonant Body store. I have seen so many photos of the inside and I love how fresh, simple and clean it looks. I am a huge fan of their foaming face wash.